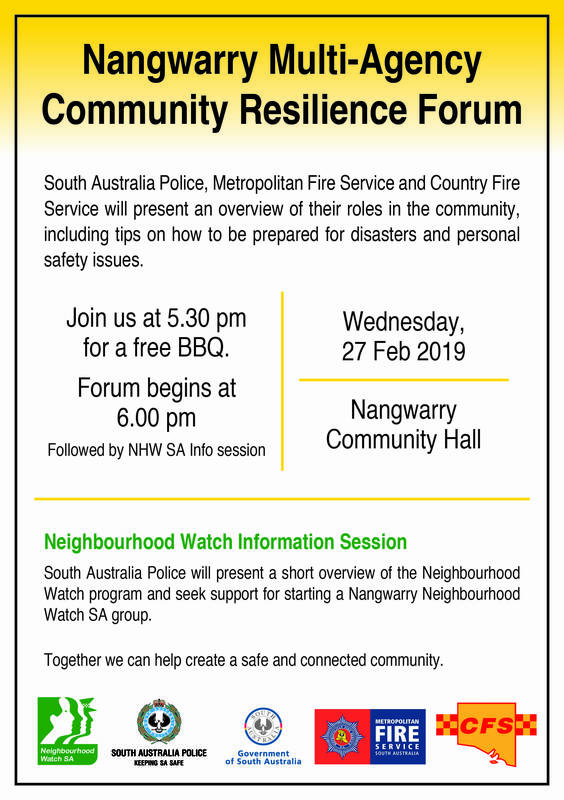 A community resilience forum has been arranged for the Nangwarry community - taking place on Wednesday, February 27. The neighbourhood watch information session will also include representatives from the CFS, MFS, SAPOL and the State Government. Tips will be provided for disasters and personal safety issues - while support will be sought to create a Neighbourhood Watch SA Group in Nangwarry.